Award-winning blooms! Refreshing yellow with white stripe. 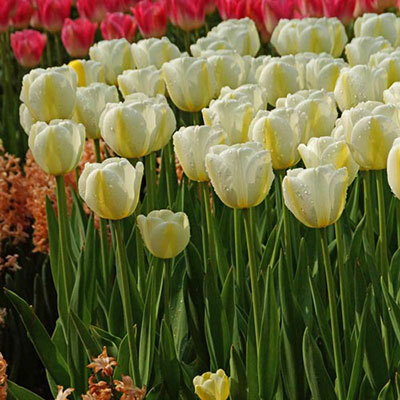 The classic aristocrats of tulips, these matchless Scheeper's Sports are probably the most widely known and popular class of all tulips grown today. With their broad range of rich, bright colors and strong stems, they are ideal for beds and borders. 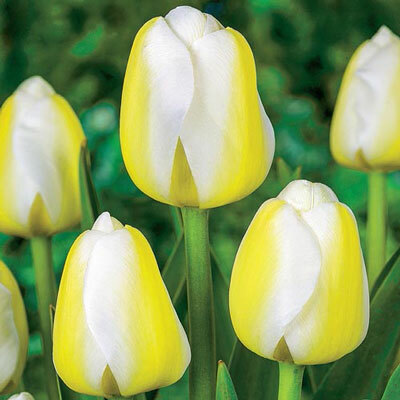 Carefully selected for their color, size and quality, these outstanding tulips will provide striking accents for the garden. These Single Late varieties are particularly suitable for cutting, so customers can bring spring beauty indoors.